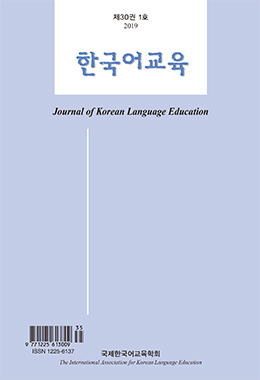 This article refers to the method of teaching Korean culture education through literary works, and in this specific case the author deals with 『The Dreams』 by Korean female writer Gong Ji-young. Generally, in the language classroom, literature works as a tool for language skill development and/or culture education as a part of language education. In that case, the learners read original texts according to their language levels. But when literature is used in the culture classroom for learners who don`t know the language of the original text, the teacher`s role is to develop an efficient method to help them to learn history through literary works and discover and identify cultural differences compared to their own culture. This article shows an example of a Korean culture class using 『The Dreams』 at the Pontifical Catholic University of Chile. The students find historical similarities, such as the experience of dictatorship, in Korea and Chile, while discovering the Korean cultural aspects which differ from those in Chile, like Soju, eating anchovies as a side dish accompanied with wine, and military service, etc. They also find similarities and differences regarding women in both cultures and even compare them with the work 『Of love and of shadows』 by the Chilean writer Isabel Allende. In many ways, Gong Ji-young`s 『The Dreams』 is one of the good examples to be included as materials in the Korean culture classroom in the Spanish-speaking world including Chile where the learners have few Korean literary works translated into Spanish and rarely encounter a translated version of a work that deals with Korea`s modern history. This author has found that copy of 『The Dreams』 can be as good material for the Korean culture classroom. With it she also reconfirms the importance of continuing efforts to develop Korean culture education methods by defining why, what and how to achieve the multiple purposes of the culture class, and considering the diversity and potential of the students` levels of language and cultural awareness. (Pontifical Catholic University of Chile).